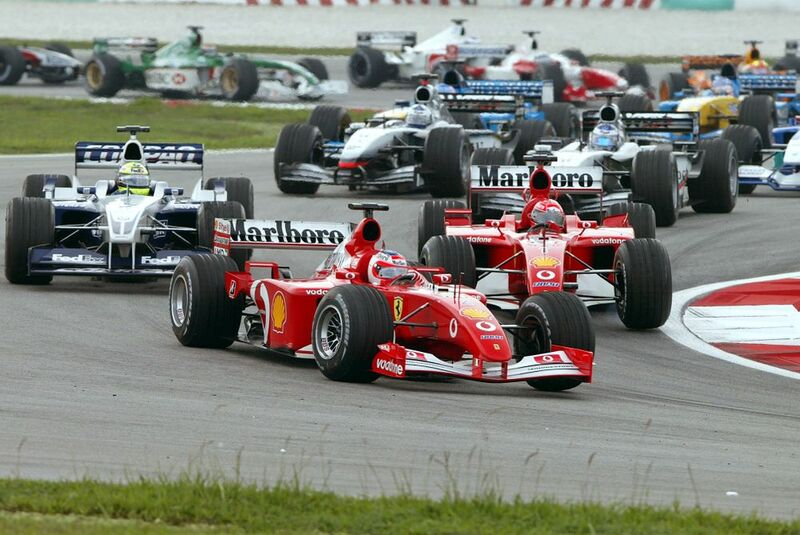 Heading through the first corner on the opening lap, Juan Pablo Montoya was trying to take the lead from Michael Schumacher around the outside. Schumacher had enough space but understeered into the side of Montoya’s Williams, breaking his front wing and sending the Colombian off the track. It was an obvious mistake from Schumacher but incredibly (and ridiculously), the stewards decided that it was Montoya’s fault and handed him a drive-through penalty. After the race, even Michael said he thought it was too harsh, with Montoya saying it was just a racing incident. 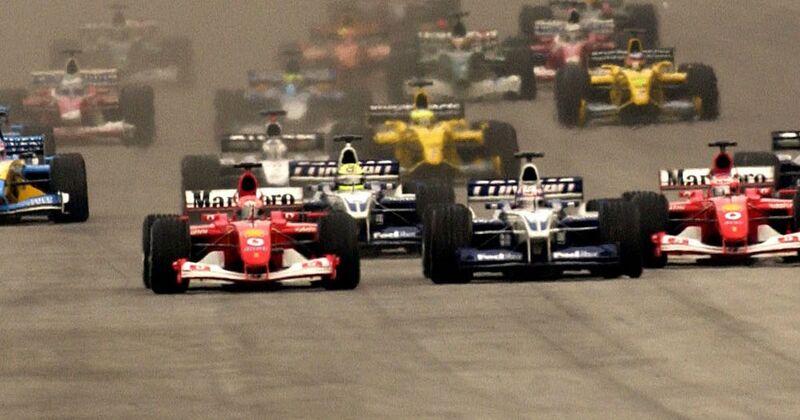 Rubens Barrichello was looking set to win until his engine failed, leaving Ralf Schumacher to win from a recovering Montoya. Schumacher finished third after pinching the position from Jenson Button on the first lap, the Brit being denied his maiden podium finish thanks to a suspension issue on his Renault. The first race of the season was a classic multi-stop Pirelli race which saw six different race leaders in the first 14 laps - Sebastian Vettel, Felipe Massa, Fernando Alonso, Lewis Hamilton, Nico Rosberg, and Adrian Sutil. However, it was Kimi Raikkonen who made the most of his Lotuses kindness to its tyres to take the win, seeing off Fernando Alonso and pole-sitter Sebastian Vettel. For the fourth year in a row, Lewis Hamilton was unable to convert pole position to a win in the first race of the season. Teammate Valtteri Bottas got the jump at the start and completely dominated, finishing more than 20 seconds ahead of his teammate and also becoming the first driver since 1959 to score a point for setting the fastest lap. Fred Gamble (born 1934) entered one race, the 1960 Italian GP at Monza. He qualified 14th and then ran out of fuel during the race, so he jogged back to the pits, got a jerry can, topped up and was able to continue on and finish 10th.